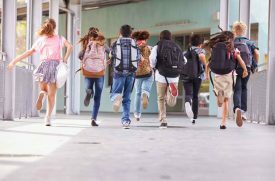 Of all the “It could never happen to me!” moments in our lives, infant mortality, the death of a baby before he or she reaches the age of one, tops the list. No one wants to imagine the possibility of their infant not living to see his or her first birthday. It’s even harder to believe that your actions, intended to comfort and protect your child, might lead to tragedy. Yet 982 infants in Ohio died in 2017, and 129 of those deaths were related to sleeping or the sleep environment. Alarmingly, infant deaths due to an unsafe sleep environment even outnumber deaths of all children from vehicular crashes. The good news is that you can immediately reduce the risk of Sudden Infant Death Syndrome (SIDS) and other infant deaths related to unsafe sleep by following the latest safe sleep practices. 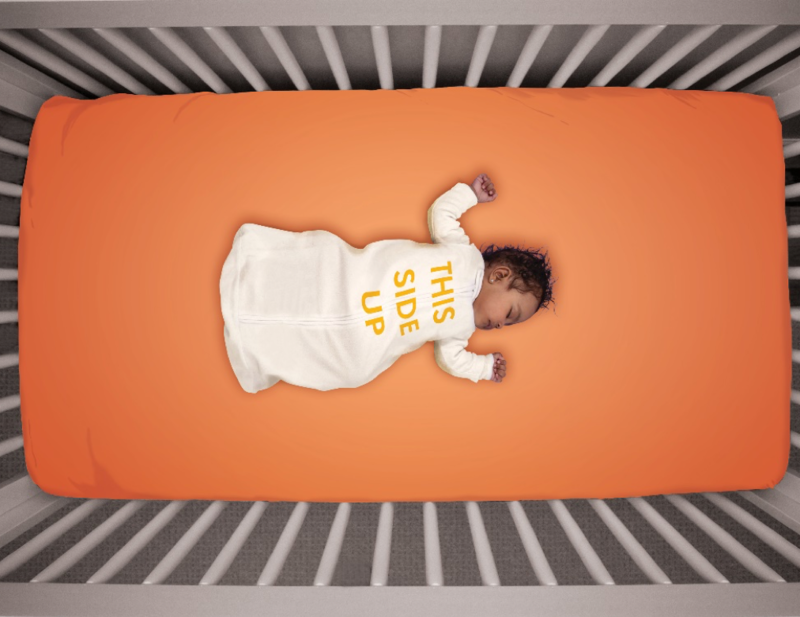 Read on for critical tips to help keep your baby safe by following the ABC’s of safe sleep – placing babies Alone, on their Back, and in a Crib – and by removing tobacco from your home. The safest place for your baby to sleep is in your bedroom, but not in your bed. Suffocation is the greatest cause of death related to injury for babies before their first birthday. It is important that your baby always sleep alone, in an empty crib, bassinet, Pack ‘n Play or Cribette. Bedding, an adult mattress, or even your body can suffocate the baby. The crib must have a firm mattress covered by only a fitted sheet. Remember, chairs, sofas and couches are extremely dangerous places for your baby to sleep. Placing the crib in your bedroom offers comfort for the baby and for you. Room sharing reduces the risk of SIDS by as much as 50 percent. Laying a baby on his or her back may appear uncomfortable, but it is the only position an infant should sleep in before he or she starts rolling over. It may be hard for grandparents to accept that back sleeping is the safest, especially if their children slept on their stomachs. However, new studies have shown that back sleeping carries the lowest risk of SIDS. Remember to tell grandparents, babysitters and any other caregivers that it is essential to always place your baby on his or her back to sleep. Studies have shown that back sleeping does not increase the risk of infant choking. Plan tummy time, which is important for your baby’s development, for only when your baby is awake and being watched. Dress your infant for safety with specially designed sleepwear. Do not use blankets, pillows or other bedding in the crib. Sleepwear such as sleep sacks and infant sleepers are designed to keep your baby warm while staying safe. Keep all loose bedding and other objects out of the crib, including blankets, bumper pads, pillows, quilts, comforters and toys. These items are not needed in the sleep space and increase the risk of suffocation. There is no need to crank up the heat to compensate for the lack of blanket; room temperatures should remain comfortable for a lightly clothed adult. Babies can and will overheat easily, so keep the room temperature between 68–72 degrees. The main place where babies and children are exposed to secondhand smoke is at home. This means they are breathing in the same dangerous smoke you are, and their developing bodies are more vulnerable to those chemicals. Develop lower respiratory infections, like bronchitis and pneumonia. Smoking during your pregnancy is dangerous for your baby as well. Women who smoke while pregnant are more likely to have a miscarriage, or to give birth to a premature or underweight baby. The Ohio Department of Health offers resources and information about smoking cessation for pregnant women and new parents, as well as everyone else. 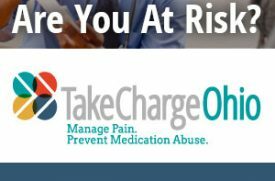 You can also call the Ohio Tobacco Program Quit Line at 1-800-QUIT-NOW (784-8669). The Ohio Department of Health has also created a website dedicated to the best infant sleep practices. This website also provides recommendations on topics such as breastfeeding, prenatal care and infant immunizations to reduce the risk of SIDS. 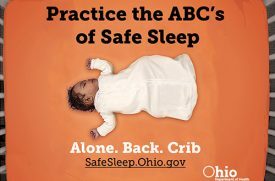 Visit http://safesleep.ohio.gov now to learn more about the ABCs of infant safe sleep and other simple ways you can help keep your baby safe. 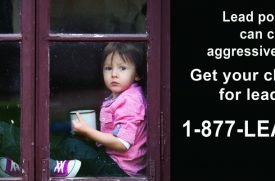 How do you prevent lead poisoning?